I love love love trying out new places to eat in San Diego. But what I love even more is finding a place so delicious and fun that I don't feel guilty going back over and over again. I've visited El Camino a few times for brunch, but last week, a few girlfriends and I decided to check it out for happy hour. Sure enough, this place didn't dissappoint! The atmosphere is amazing, the food is delicious and the DJ is always on point (even during brunch). 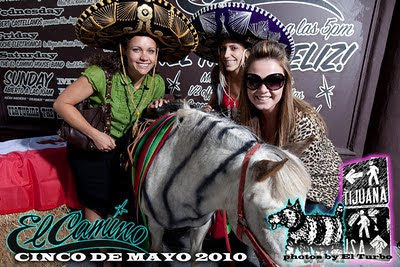 Who said you have to go to TJ to take a picture with a zebra-painted mini horse? With two locations in San Diego, El Camino should definitely be on your list of restaurants to visit. You won't regret it, I promise. With today being Cinco de Mayo and all, I thought it would only be appropriate to post a few pictures from our recent trip to Rosarito last weekend. One of the things I love about San Diego is having the close proximity to all sorts of different places. I mean, how awesome is it that it only takes 20 minutes to drive to a whole other country? It's perfect for those lazy afternoons when you feel like you need to get away. 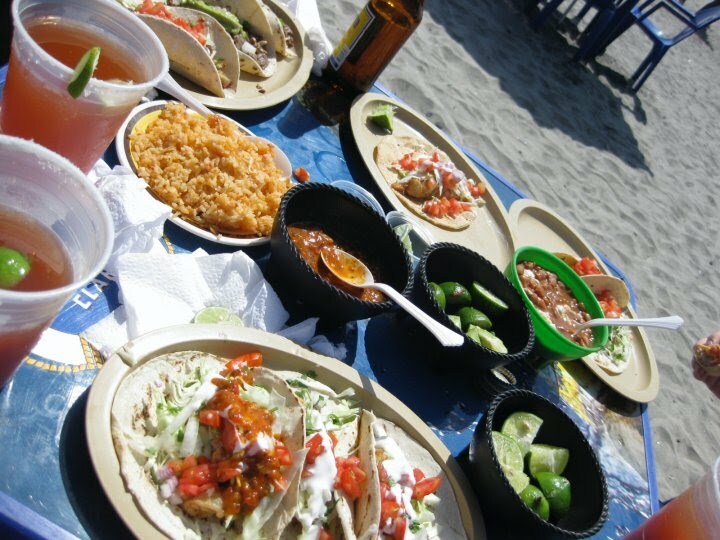 And although I must admit that we're pretty lucky to have some of the best taco shops right here in San Diego, nothing can ever beat the real deal, fresh off the grill, juicy and delicious tacos and beer! 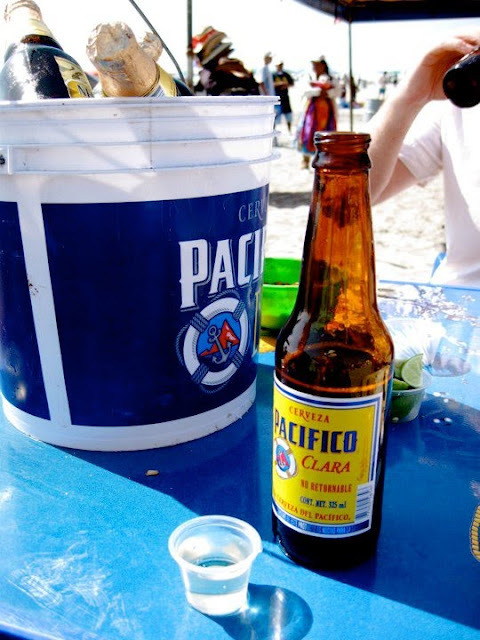 Aah, an ice cold bucket of beers on the beach? Perfect! Yum! Tacos de pollo, carne asada y camaron. 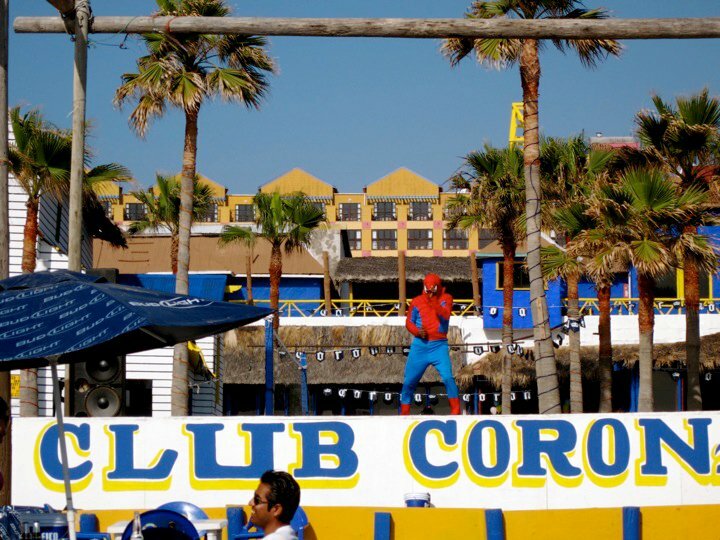 And of course, the people watching is always entertaining..
Have fun today amigos! Adios.